Hey! 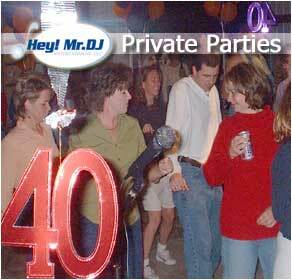 Mr. DJ is greater Cincinnati's mobile entertainment of choice when it comes to private parties and functions! We offer unbeatable services for a variety of private events! Karaoke is the perfect party pleaser, great for any occasion! Click here for more information on adding our Karaoke services to your party!